In the realm of antivirus software, Avast has carved a niche for itself with the relentless protection it provides to its customers’ devices. It currently protects over 400 million different devices efficiently. Since 1988, Avast has dedicated itself to developing and supporting superior products that can effortlessly protect your computer against the malicious agents prevalent on the Internet. The basic Avast Antivirus is meant for personal and non-commercial purposes, but if you need an antivirus that can function on a larger scale, you can choose from the multiple versions of the Avast Antivirus that offer seamless protection to all your devices. Avast Antivirus functions actively on Microsoft Windows, macOS, Android, and iOS operating systems. Setting up Avast Antivirus is quite easy; irrespective of which version you have purchased, you can directly download it from the website. Although there are a plethora of websites offering the free version of this antivirus, it is advisable to download it from the source itself. The color scheme is dark with bright colors and it has a navigation column that lists the major categories, which include status, protection, privacy, and performance. After the antivirus checks the system, the shield icon turns green with the check mark if the system is clean. Avast Antivirus supports 47 languages, thereby making it one of the leading polyglot antivirus software. – Avast Antivirus is available for a free download. However, if you are looking for something more effective, you can opt for its upgraded versions, which include the Internet Security Suite, the Premier Suite, and the Ultimate Suite. The Free Antivirus can detect viruses, ransomware, and other threats in real-time, thereby keeping your computer safe. Moreover, it scans for weakness in Wi-Fi security and secures your passwords. – The Internet Security Suite, in addition to performing the functions of the Free Antivirus, makes online shopping safer by helping you avoid fake sites, blocks hackers with its advanced firewall protection, and provides an extra layer of ransomware security. You can avail of these amazing features for approximately $60 per year for single PC. – The Premier Suite, which is an elite antivirus software that encompasses all the features of the Free Antivirus and the Internet Security Suite still has more to give. It is equipped with the ability to stop webcam spying. Moreover, it permanently shreds sensitive files and automatically updates the apps, thus reducing the security risks. Though this version of the Avast Antivirus is equipped with the means to provide superior antivirus protection and security for your device, it is not exorbitantly priced. You will have to pay around $80 per year for a single PC. 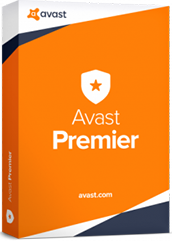 – The Ultimate Suite is the supreme product of Avast Antivirus and entails all the features of the Free Antivirus, Internet Security Suite, and the Premier Suite, and what makes this a sound investment is that it has more to offer. In addition to the aforementioned features, it includes the Avast Cleanup Premium that removes the hidden junk, frees disk space, and speeds up your computer. You can avail of these services for approximately $120 per year for a single PC. If your Mac needs protection, you can opt for the Avast Security for Mac. It is available in two versions, Avast Security and Avast Security Pro. The Avast Security blocks viruses and other malware that threaten to infect your Mac alerts you about the suspicious nature of the site, and scans for Wi-Fi security weaknesses. The Avast Security Pro is equipped with the features of the Avast Security and has additional features such as getting real-time Wi-Fi security alerts and preventing ransomware. The Avast Security is free of cost, whereas, the Avast Security Pro costs around $60 per year for one Mac. Avast Antivirus extends its security to mobile phones with the Avast Mobile Security. It allows you to connect your phone to a public Wi-Fi without fearing a breach of data. Moreover, it provides complete protection to your device while surfing the Internet, and endows you with greater control and better privacy. Installing the Avast Mobile Security is completely free of cost. For any queries, you can contact the customer support by calling the toll-free number or sending an email. The Avast Antivirus has a signature-based scanner that can compare software against the database of a known malware. If it’s an unknown malware, Avast’s Behavior Shield Heuristic Monitoring can observe how each of the new pieces of software acts. Anything that is suspicious gets uploaded to Avast’s cloud servers for analysis and is added to the malware-signature database. The internet security package ensures that you can browse through the different websites confidently, without falling prey to malevolent entities on the Internet. Though the free version doesn’t offer personal firewall protection, you can opt for an upgraded version that provides you with personal firewall protection that blocks malware and other types of viruses that try to reach your hard drive. The Ultimate Suite includes the Avast SecureLine VPN that encrypts your internet connection for safer, anonymous browsing. It even contains Avast Passwords Premium that is more than a password manager; you can think of it as a 24/7 account manager! Avast Antivirus is an all-encompassing antivirus software that provides complete protection to your device. It ensures that there are no existent loopholes that can allow hostile online entities from disrupting your device and your peace of mind.